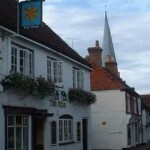 Trying to find pubs in Godalming? You’ve come to the right place. We’ve got every pub and bar in the UK listed. Whether you’re looking for a pub or bar in Godalming to play darts, somewhere to play pool or just want to have a look at a menu before you go, we can help. 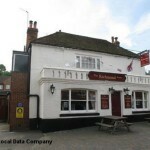 Richmond Arms in Godalming has a beer garden. The pub has a car park, it has disabled facilities. Richmond Arms gives a warm welcome to dogs and their owners. The pub is a family friendly pub, it serves food. Richmond Arms serves real ale. The pub has a real fire, it has free WiFi. Richmond Arms has a dart board. The pub is a member of Cask Marque. 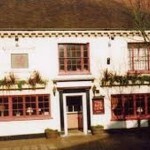 Rose & Crown in Godalming has accommodation. The pub has an outside area, it has a smoking area. Rose & Crown has a dart board. The pub has a big screen, it shows football on TV. Rose & Crown has Sky Sports. The pub has terrestrial TV. Red Lion in Godalming serves real ale. The pub is a member of Cask Marque. Star Inn in Godalming serves food. The pub serves real ale, it has free WiFi. 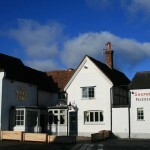 Star Inn is a member of Cask Marque. Slug and Lettuce in Godalming serves food. The pub serves real ale. 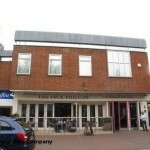 Jack Phillips in Godalming has a beer garden. The pub has a car park, it has disabled facilities. Jack Phillips is a family friendly pub. The pub serves food, it has an outside area. Jack Phillips serves real ale. The pub has a real fire, it has free WiFi. Jack Phillips is a member of Cask Marque. 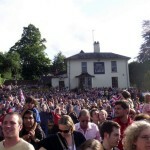 Lounge Bar in Godalming has live music events. The pub holds quiz nights, it shows football on TV. Anchor in Godalming has a beer garden. The pub has disabled facilities, it gives a warm welcome to dogs and their owners. Anchor is a family friendly pub. The pub serves food, it has an outside area. Anchor serves real ale. The pub has a smoking area, it has a dart board. Anchor has live music events. 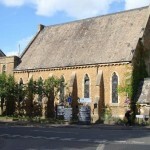 The pub holds quiz nights, it is a member of the BII. 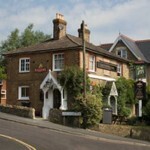 Kings Arms & Royal Hotel in Godalming shows football on TV. The pub has terrestrial TV. Sun Inn in Godalming shows football on TV. The pub has terrestrial TV. Wharf in Godalming has an outside area. The pub has a smoking area, it has free WiFi. Wharf has a big screen. The pub shows football on TV, it has terrestrial TV. Inn On The Lake in Godalming has accommodation. The pub has a beer garden, it has a car park. Inn On The Lake has disabled facilities. The pub is a family friendly pub, it serves food. Inn On The Lake has an outside area. The pub serves real ale, it has a real fire. Inn On The Lake has free WiFi. The pub is a member of Cask Marque. Charterhouse Arms in Godalming has a beer garden. The pub has a car park, it serves food. Charterhouse Arms serves real ale. The pub shows football on TV, it has terrestrial TV. Charterhouse Arms is a member of Cask Marque. Bel & The Dragon Godalming is nestled in Surrey’s picturesque market town of Godalming and is just a short stroll from the river Wey. Godalming Town Fc in Godalming has an outside area. The pub has a dart board, it has DJ's. Godalming Town Fc has karaoke. The pub has a pool table, it holds quiz nights. Godalming Town Fc has a big screen. The pub shows football on TV, it has Sky Sports. Godalming Town Fc has terrestrial TV. Sarah, Graham, Stevie and the team look forward to seeing you soon! Cricketers in Godalming has a beer garden. The pub serves food, it has an outside area. Cricketers serves real ale. The pub has free WiFi, it holds quiz nights. Cricketers is a member of Cask Marque.